The luminescence properties of silica xerogels and aerogels have been studied using PL spectroscopy. Both silica xerogels and aerogels exhibit photoluminescence in the visible region when excited with UV radiation. The luminescence observed in xerogels and aerogels is attributed due to defect centers. Silica aerogels exhibit better photoluminescence than xerogels due to the increase in defect sites. 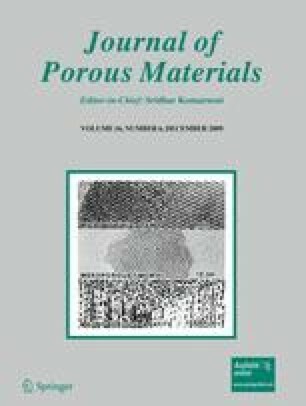 The incorporation of rare earth ions (La3+, Nd3+and Sm3+) enhanced the luminescence of both silica xerogels and aerogels. La3+ shows least and Nd3+ shows maximum enhancement. Increase in the concentration of Nd3+ resulted in an increase in the luminescence intensity. The change in the environment of the defect centers due to the incorporation of rare earth ions and the superposition of 4f-f transitions of rare earths are considered as the reasons for the luminescence enhancement. The authors are thankful to Dr. K.R. Dayas, Director, C-MET, Thrissur for providing facilities to carry out this work. We are also grateful to Dr. K.G. Gopchandran for Luminescence measurements and Mr. P.A. Abraham, Mr. Stanly Jacob and Mr. C. Rajesh for useful discussions.